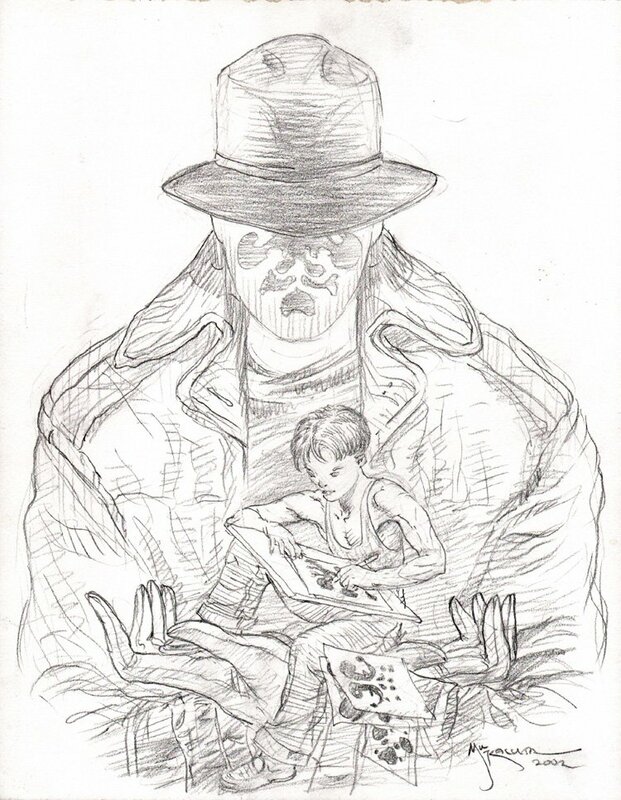 Check out this very cool pencil pinup which was penciled entirely by the great Mike Kaluta back in 2002! This nice pinup featuring the most famous WATCHMEN of them all: "Rorschach" as his younger self is shown in the body of the character....VERY COOL! Art measures 11 by 14 inches! Just a great opportunity to own this neat pinup by one of the greatest DC fantasy artists EVER! Stunning 1975 Batman / Shadow Pinup!